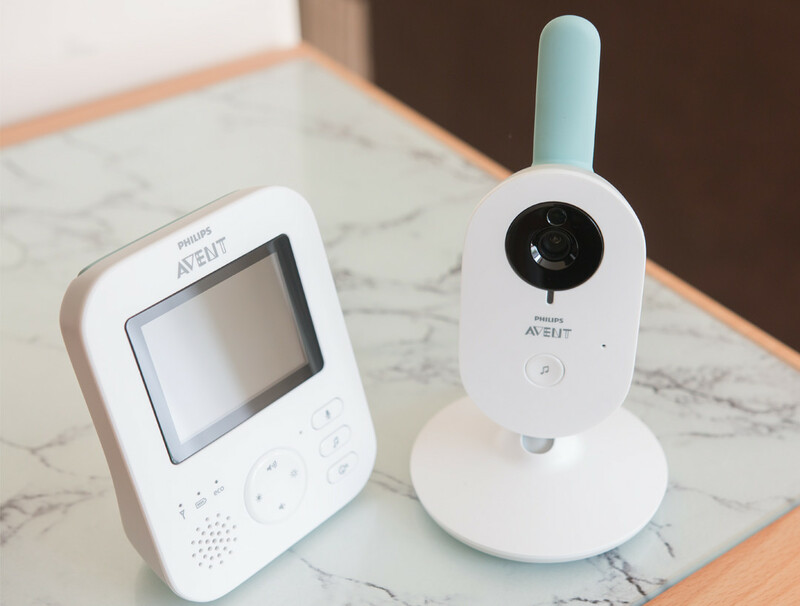 VIDEO BABY MONITOR: ESSENTIAL OR LUXURY? What seemed like a luxury before I was mum, now is one of the most essential items in our household, which allows me to get on with life whilst my son is asleep, without constantly worrying that I won’t hear him if he wakes, or that he will surprise me waking up whilst I’m in the middle of having a bath or making a cuppa. A video baby monitor gives me that extra peace of mind, but because the majority of the good ones are still a bit pricey, it’s something that parents-to-be and new parents question whether or not they need one. I honestly can’t live without my video baby monitor and I recommend it all new parents. Maybe when my son is a bit older, I won’t worry so much about not hearing him or knowing what he is up to, but for now, he’s only 1-year-old, and I feel more reassured knowing I can keep an eye on him whilst he sleeps. 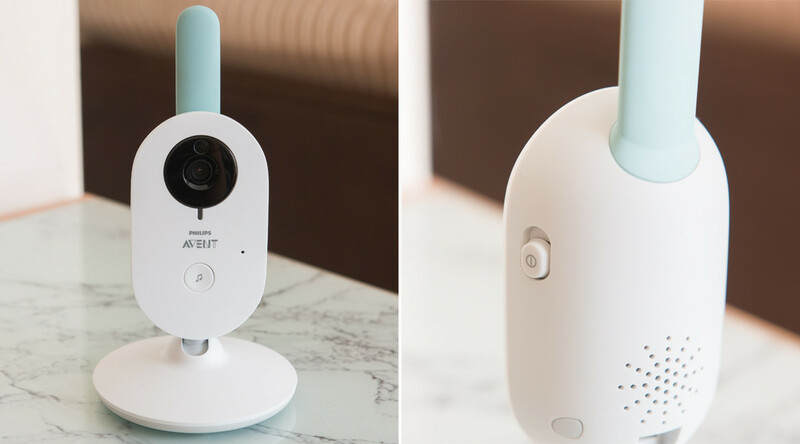 If you’re looking for a video baby monitor with great audio and video quality, secure radio frequency connection, a good 9-hour battery life and that doesn’t struggle with signal interference, then you might want to look into the Philips Avent Digital Video Baby Monitor. This video baby monitor might not be packed with features, but it does exceptionally well on what it can do. I feel like Philips has really focused on improving the quality of the video and audio on this baby monitor, which in fairness are the two most important things for parents on a baby monitor. The different modes – video, audio, vox and eco – are a much welcome addition, my favourite and most used being the vox mode, where after 20 seconds of no sound, the parent unit will go on standby, and if the baby makes any noise, the video and audio are activated immediately. This helps save battery and it also means that you don’t have to put up with that annoying hiss of static white noise all night long. The eco mode is very similar and it also helps to save battery on the baby unit, but because it works on a 2 second ping system, I trust the vox mode more, as it’s always on and ready. As I mentioned previously, the video and audio quality of this Philips baby monitor is exceptional. The audio is crystal clear and the image, even on night vision mode, is quite sharp. Although my BT Lightshow 7500 Video Monitor has a lot more features and it’s more complete, when it comes to video and audio quality the Philips Avent Digital Video Baby Monitor wins by a mile. Another standout feature is the signal of the parent unit, which seems to stay stable even when it’s around lots of electronics. This is very important to me, because I like to have the peace of mind knowing that it’s all quiet in the nursery because my baby is asleep, not because I’ve lost signal. 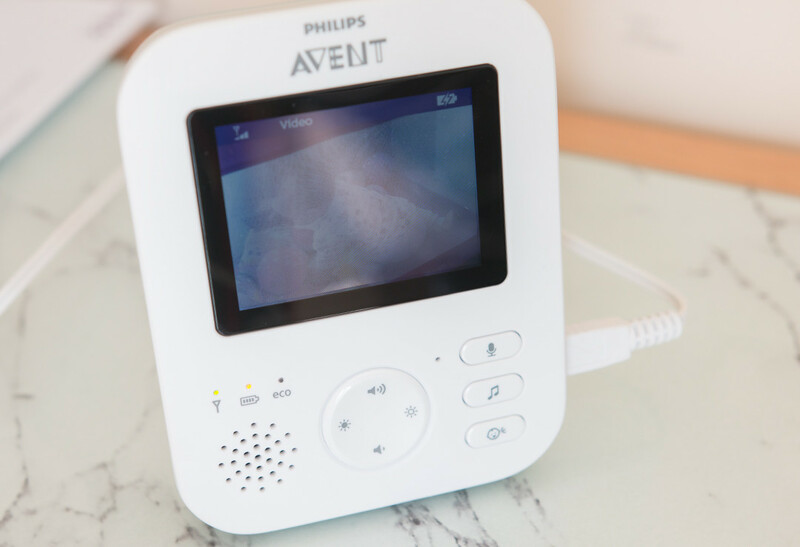 Although my house is not huge, I’ve really struggled with the signal on my BT baby monitor, as it interferes with everything – even using my phone near it, so the Philips Avent baby monitor is the one I would recommend if you’re tired of baby monitors that often lose signal. An added bonus is the inclusion of lullabies, which can conveniently be turned on and off from the parent unit, meaning that you don’t have to disturb your baby. The only downside is they automatically turn off after about 15 minutes, and there is no option to leave them playing until you manually turn it off. For us, that is a real shame, as my son sleeps listening to lullabies all night long, and is easily woken when I turn them off – I guess they also act as a bit of white noise for him, which distracts him from the normal household noises. The talkback function allows you to talk to your baby from the parent unit, which can be helpful if your baby feels reassured by your voice, but in my case, I use it more to talk to my husband when he is in the nursery and I’m downstairs. It works really well, and even if I just whisper, he can hear me clearly on the other end. The screen on the parent unit is a little bit smaller than what I would have liked and it’s not touchscreen, which is a modern feature that I’ve grown accustomed to on my BT baby monitor. The baby unit feels very sturdy and not likely to topple in the middle of the night. A wide-angle lens would have been nice, so I could see more without having to move the unit further away from my baby, but that’s just me being picky. I was pleasantly surprised by how long the battery lasted after a full charge – a whole 9 hours until the parent unit started to beep. The user manual says that it can last for up to 10 hours, so I guess that’s about right. I’m intrigued to see how long I can make the battery last on eco mode. I’ll have to get back to you on that one. One very missed feature is that this baby monitor doesn’t display the temperature of the room on the parent unit. I’ve seen similar models online that have this feature, but I don’t think the SCD620 model has it. But my most missed feature of all is the ability to control the camera from the parent unit; you can’t zoom or zoom out, and to change the view, you have to go in your baby’s nursery and move the camera yourself, which is a risk I’m not willing to take most days, just in case I wake him and end up with a grumpy baby! Something small but missed, is a tripod connection as I like to use my Gorillapod to mount the baby monitor when we travel. IS THE PHILIPS DIGITAL VIDEO BABY MONITOR WORTH THE MONEY? 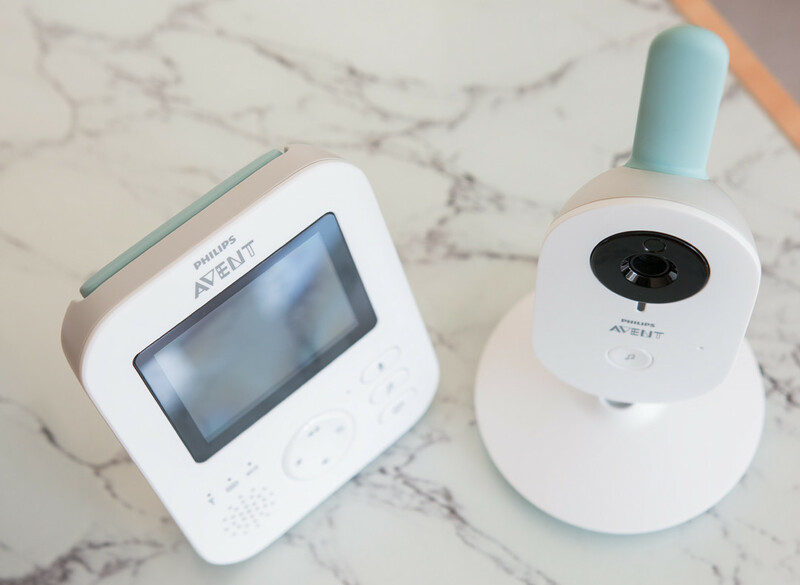 Overall, the Philips Avent Digital Video Baby Monitor is a great baby monitor if your priorities are audio, video quality and steady signal, which in my view, are the most important things on a video baby monitor. Priced at £160, the lack of a few features such as camera control from the parent unit, room temperature and uninterrupted lullabies can be a bit of a nuisance, but these are all added extras, which I’m sure I could live without. I think the price tag is justifiable due to the exceptional quality of the audio, video and signal. What do you think of video baby monitors? What do you think is the most important feature on a baby monitor? 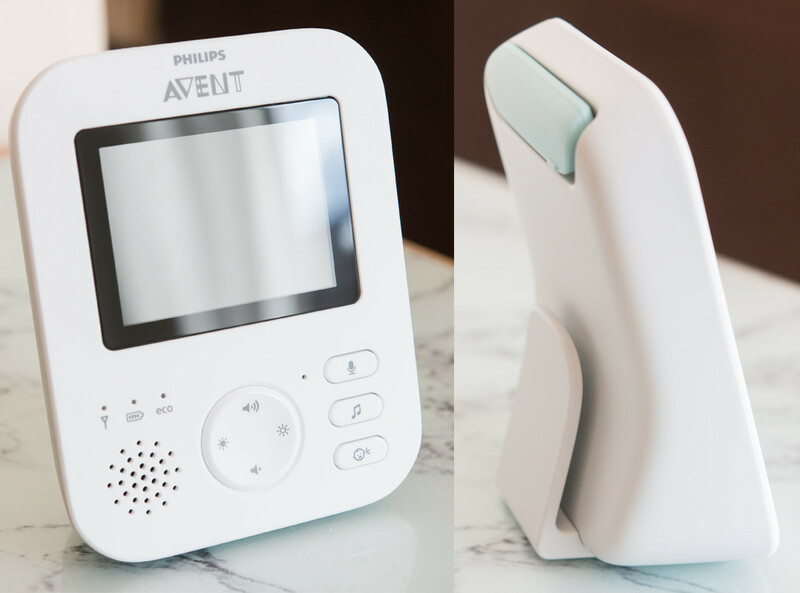 Have your tried or would you try the Philips Avent Digital Video Baby Monitor? I bought a monitor from BabyMoov which allows you to check in from work, abroad and emits no waves …which I will review but haven’t had the chance as my son still sleeps in our room! Right now it seems the monitor was a luxury but when I bought it, it was absolutely essential.